We’ve become so used to swaying to beats played by a DJ at cocktails that we’ve practically forgotten what it’s like to be in the middle of a live woodwind performance. Nirupama Belliappa, a 28-year-old flautist, has been reminding guests of just that. Nirupama, who shuttles between Mumbai and Nova Scotia, has performed at some of the most scenic locations across the globe. “One wedding was at an old fort in Jodhpur, another was straight out of a fairy tale in Florence and a third saw me playing above a shimmering blue sea in Greece,” she reveals. 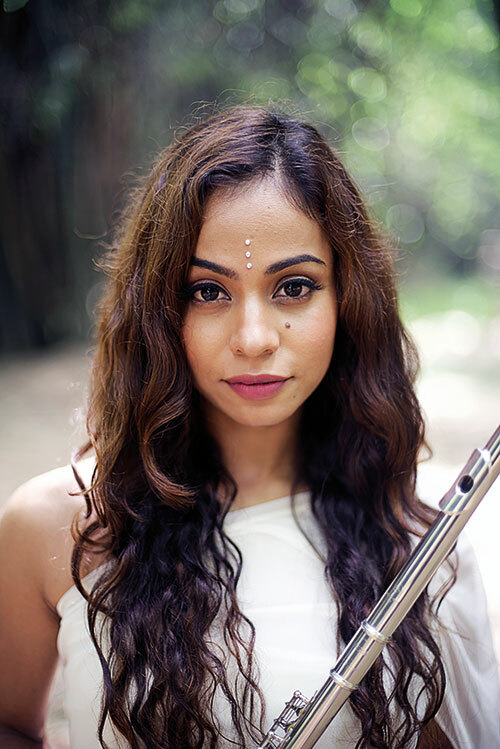 Her favourite kind of music to play on the flute is Hindustani classical because “there’s a freedom in the fact that I can improvise and emote on the spot while still doing justice to the rasa or mood of the raga”. And with couples increasingly opting for live music on their special day, Nirupama sheds some light on why she feels that the trend is fast gaining popularity. “I definitely find there’s a curiosity for new sounds and different instruments, and growth of an overall appreciation for the arts,” she states. Currently, the 28-year-old is gearing up for a few wedding gigs that kick off in October. Even so, she finds the time to unwind. “I love making tea! I’m a big fan of growing my own herbs and edible flowers and experimenting with different blends,” she asserts.